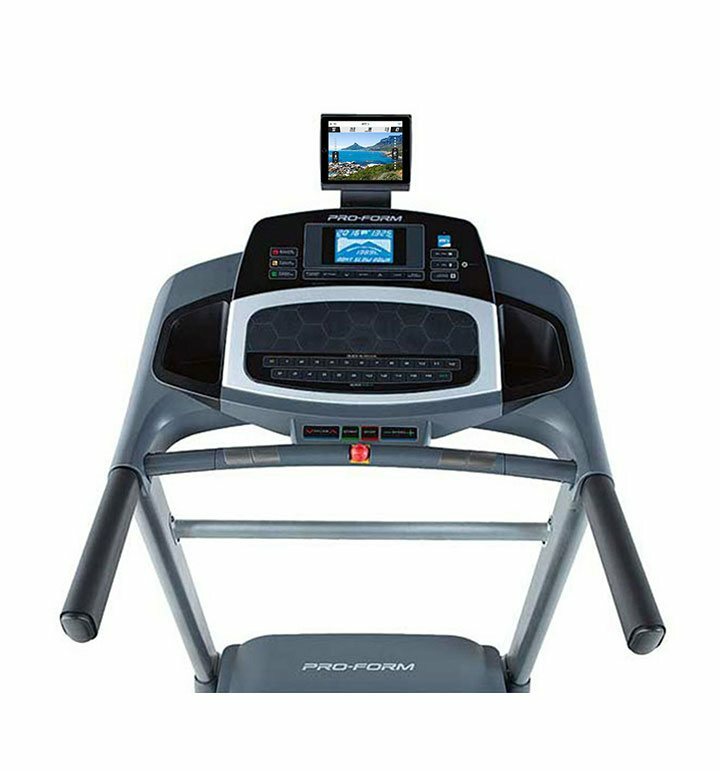 The Proform 595i Treadmill is a powerful cardio machine designed to keep you fit and motivated from the comfort of your own home. 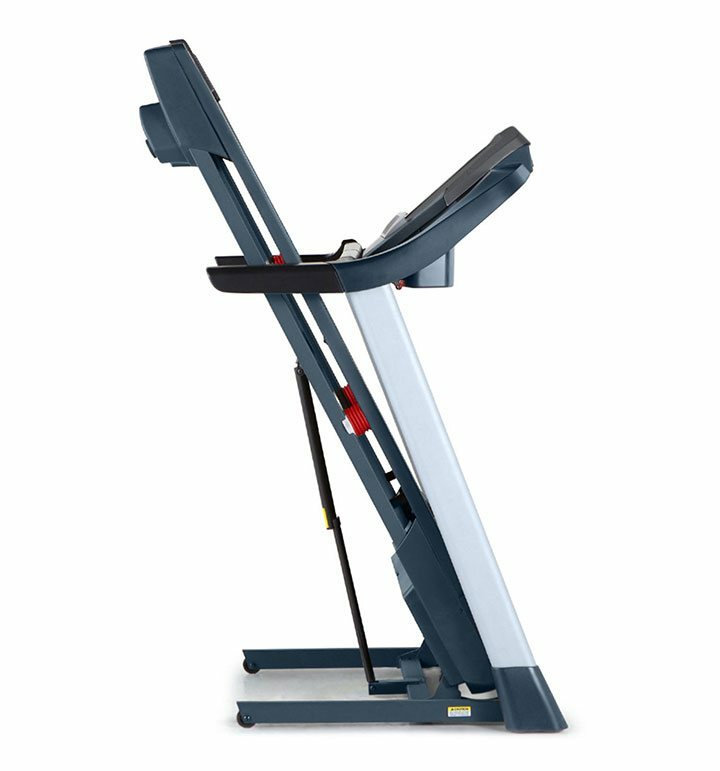 The robust 595i treadmill boasts up to a top speed of 20km/h and a 10% automatic incline, which will get your legs moving and burn calories fast. To further enhance the innovative features found on the 595i treadmill, there are 18 built-in workout programmes available at your fingertips and iFit connect-ability via Bluetooth; providing huge motivational programme options to help you continuously reach your goals. The ProShox™ cushioning is designed to reduce the impact on your joints by 28%, providing excellent support and protection. 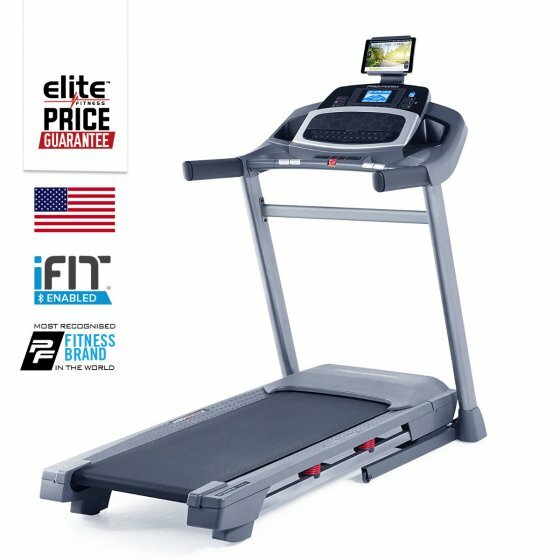 Once you’ve completed your run, the Proform 595i Treadmill’s SpaceSaver™ design with EasyLift™ assistance easily folds up vertically for storage at your convenience. 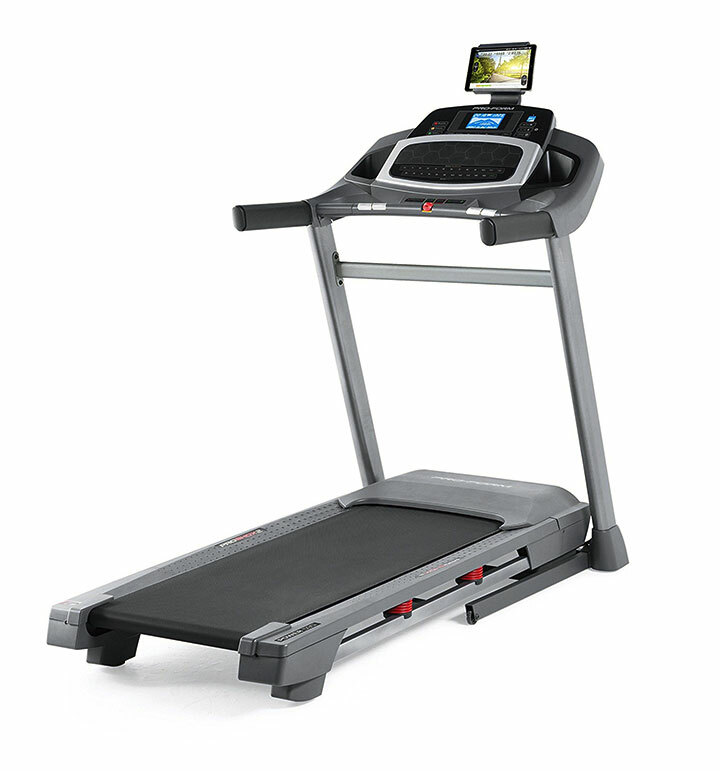 5" Backlit LCD Console: Includes: Time, Distance, Speed, Incline, Calories, Heart Rate. 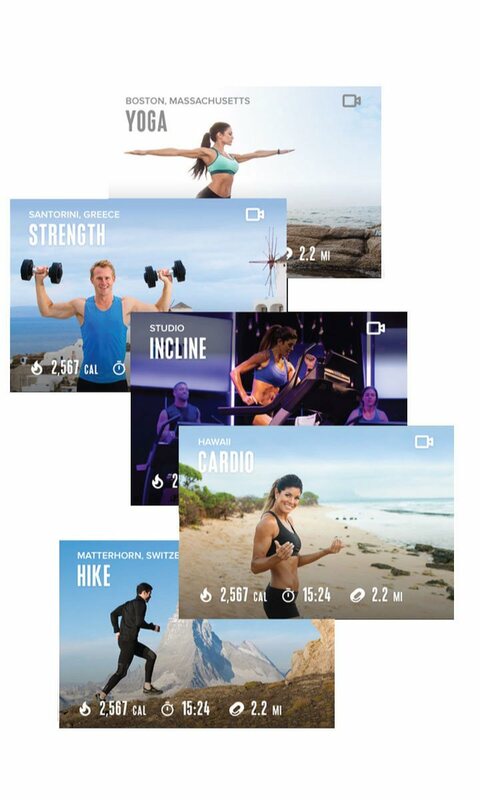 18 Workout Apps: Designed by Personal Trainers to help you quickly and conveniently meet your fitness goals. 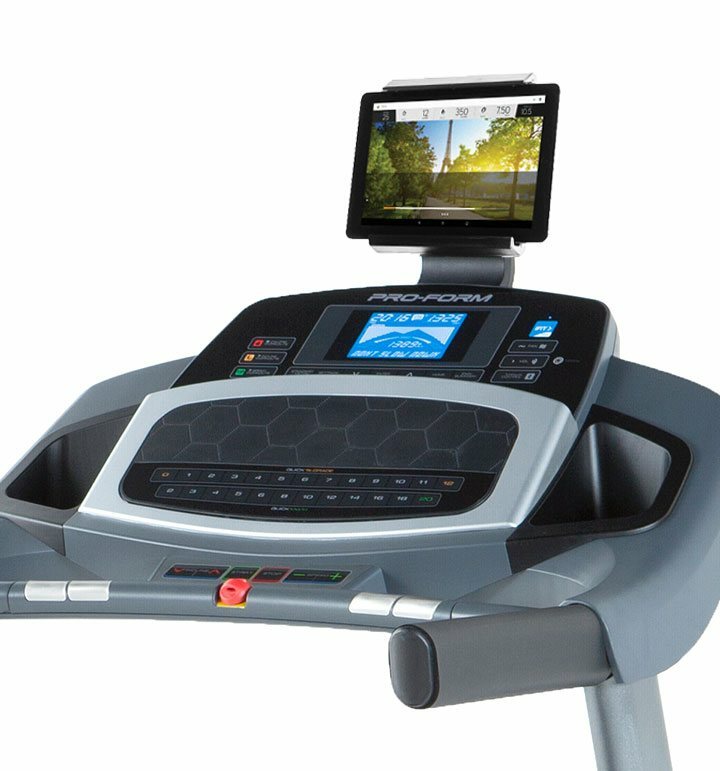 0 to 20km/h One-Touch Speed Control: Quickly alter the speed during your workout. ProShox™Cushioning System: Reduces the impact that goes through your joints by 28%. 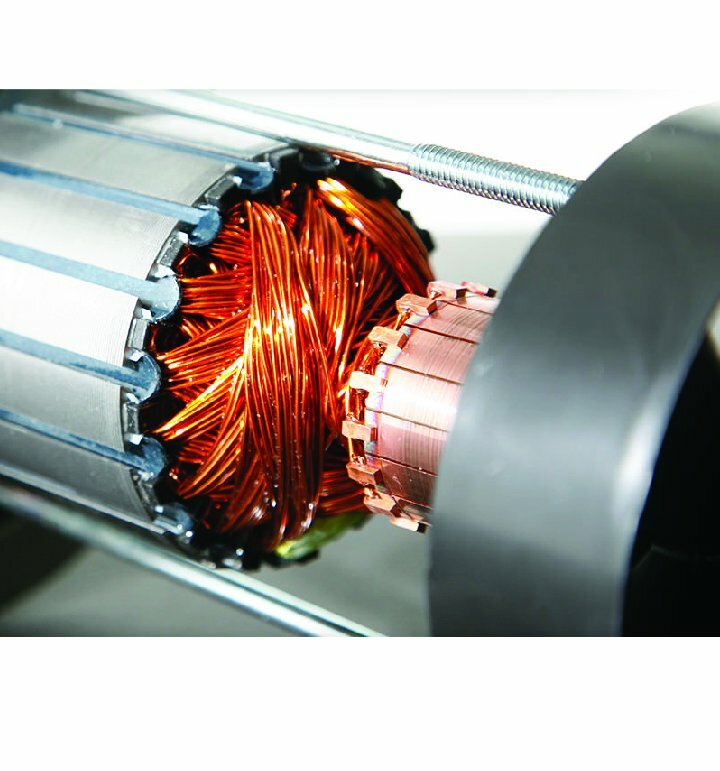 SpaceSaver® Folding Design & Transport Wheels: Get the most out of your workout area.